SEASONAL / LIMITED EDITION. 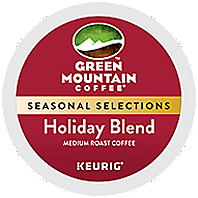 A sweetly spiced aroma marks this seasonal blend of light and dark roasts. Its bittersweet chocolate finish will perfectly complement your holiday table.